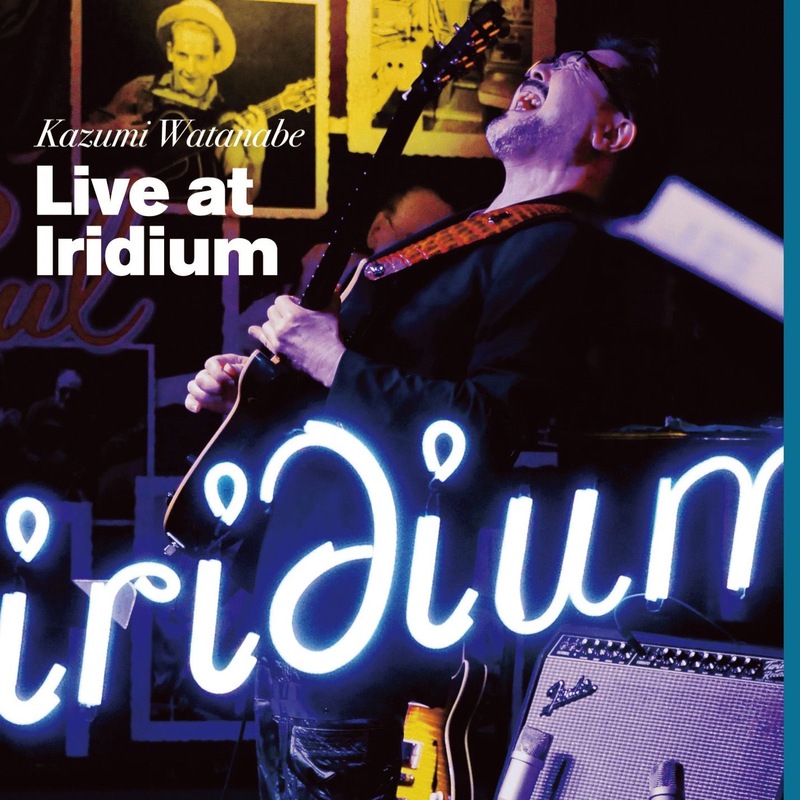 Watanabe was invited in 2011 by the New York club Iridium to play there as part of the 'Legendary Jazz Fusion Guitarists' series. 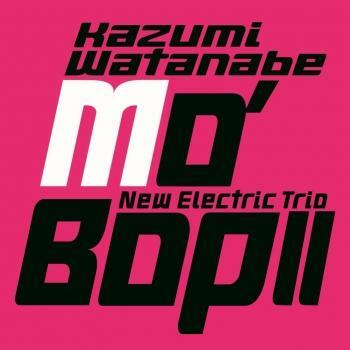 Watanabe began a search for younger bassist and drummer based in the US who would bring fresh ideas and energy, and chose Janek Gwizdala, originally from England, and Obed Calvaire who's played with Wynton Marsalis, Mike Stern and the Clayton Brothers, among others. 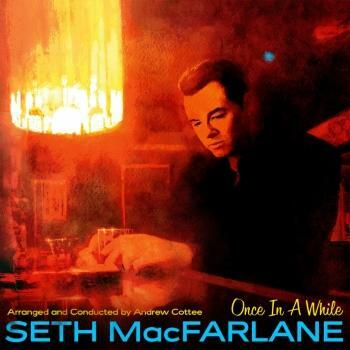 Material for this exciting CD was taken from the three-day gig at The Iridium in October, 2011. Although they have never played together before, the superbly talented trio musicians apparently had a great rapport and 'clicked' with one another. 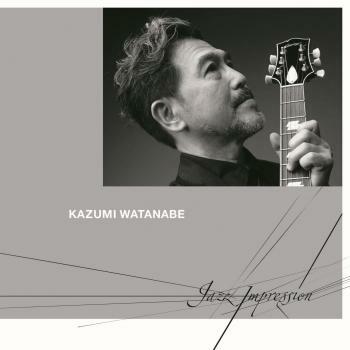 Whether playing well-known jazz musicians' compositions or Watanabe's own tunes, they burn red hot with intensity and thrilling interplay. 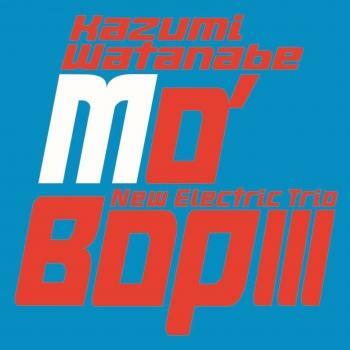 lives up to his name as the Japan’s world-class, top jazz guitarist. 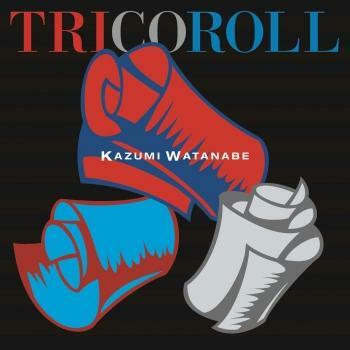 His quick tempo weaves fascinating ad libs and affluent melodies; he has been noted for elaborately combining various performing techniques and infusing rich expressive power to each and every note to create a one-of-a-kind “Kazumi Sound”. He has made the world his stage for over 40 years, transgressing genres and borders to perform with an outstanding number of domestic and international artists. The natural-born improviser also builds a unique world of composition and arrangements, always pioneering frontier instrumental music. Born 1953 in Tokyo, Kazumi Watanabe took the piano at the tender age of seven, but picked up the guitar at age 12 inspired by the Ventures. At 15, he was stunned by the music of Wes Montgomery and turned his aspiration to jazz. He made his debut at age 17 with Infinite and was quickly hailed as the guitar prodigy extraordinaire. While playing in Japan’s top-profile groups led by artists such as Masaru Imada, Sadao Watanabe, and Isao Suzuki, he led his own band as well. From around Olive Steps (1977), he rode the wave of popularity of fusion and guitar music, taking in not only jazz fans but also rock fans under his wings. In 1979 he formed KYLYN with then-up-and-coming stars in the Japanese music scene, namely Ryuichi Sakamoto, Akiko Yano, and Shuichi “Ponta” Murakami, and went on to release an album, perform live, and tour. KYLYN earned the recognition as the legendary band that had made a tremendous influence on the Japanese music scene thereafter, with each member still playing pivotal roles in respective scenes. In the fall of that year (1979) Kazumi participated in Yellow Magic Orchestra’s world tour as guest guitarist. His play won rave reviews in everywhere he went, which catapulted his name to international fame. TO CHI KA (1980), produced by Mike Mainieri, marked an unprecedented sales figure and brought Kazumi to the forefront of the fusion scene. The release was followed by an 11-city tour with Mainieri on vibraphone, Warren Bernhardt on piano and keyboards, Marcus Miller on bass and Omar Hakim on drums. Then up to 1985, he made more epoch-making steps than you could count, such as playing alongside Eddie Gomez and Steve Gadd in the Japan tour of STEPS, a group of cream of the New York-based musicians, as well as the Brecker Brothers Band’s performances at New York’s Seventh Avenue South and their Japan tour, and bassist Jaco Pastorius’ Japan tour to name a few. 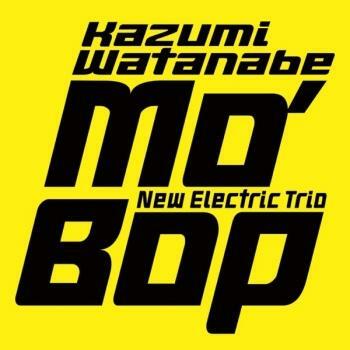 On the other hand, Kazumi continued to push the envelope of fusion in Kazumi Band, his own band formed with musicians of notable, extraordinary techniques such as saxophonist Yasuaki Shimizu, keyboardist Masanori Sasaji, bassist Kenji Takamizu and drummer Hideo Yamaki. 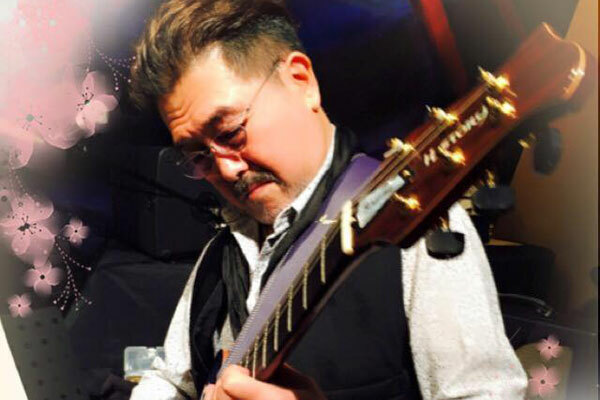 With another band MoboⅢ, a trio with bassist Greg Lee and Shuichi “Ponta” Murakami, he toured the United States performing 17 shows in 12 cities including New York, enjoying high acclaim in each city. Furthermore, recorded with ultra-heavyweights such as Marcus Miller (bass), Omar Hakim (drums), Robbie Shakespeare (bass), Sly Dunbar (drums), and Michael Brecker (saxophone), album Mobo earned high acclaim as a work of experimental approaches to a new sound. 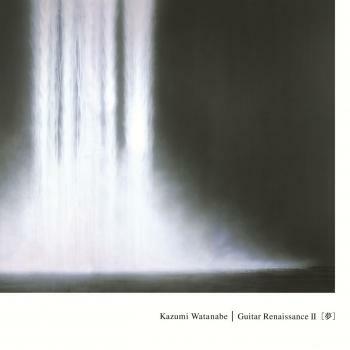 During this time, Kazumi produced a number of seminal works in the history of fusion, and established his stature as Japan’s top guitarist. 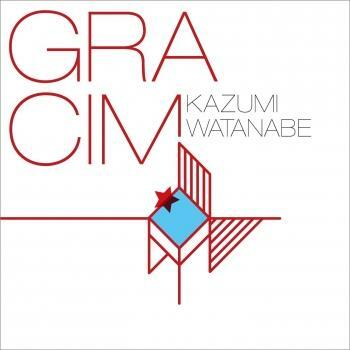 In the late 80s, Kazumi actively explored new fields and recorded an album in London with drummer Bill Bruford, the British rock giant renowned for his activities in King Crimson, and bassist Jeff Berlin. The unit toured twelve cities in Japan, and went on to record another album in London as well as doing many more tours, winning overwhelming support from progressive rock fans across the nation. He also led a band with Kei Akagi on keyboards, Bunny Brunel on bass, and John Wackerman on drums, touring 9 cities in the United States and performing at the Montreux Jazz Festival in Switzerland. On a tour sponsored by The Japan Foundation, he visited Indonesia, Sri Lanka, Bangladesh, Thailand, and China, and performed with local musicians. 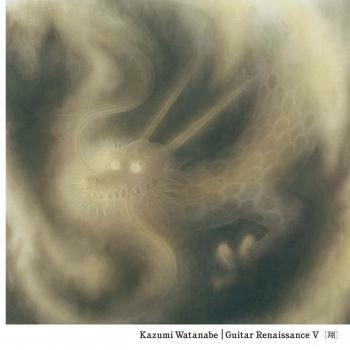 In the 90s, Kazumi began to immerse himself into acoustic guitar as well, combining it with electric to further expand his musical field. He played strings of European dates such as Barcelona (Spain), Italy, and France with leading free jazz pianist Yosuke Yamashita, as well as Bulgaria and Lisbon (Portugal) with bassist Nobuyoshi Ino, all enjoying high acclaim. 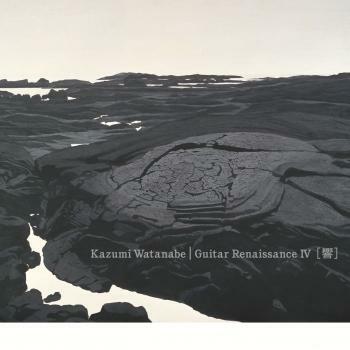 Starting with a guitar duo on Tokyo Music Joy with John McLaughlin back in 1987, Kazumi has presented and continues to present to this day the best part of collaborations with world’s high profile guitarists, exciting enthusiasm in many guitar fans. The long list of collaborated guitarists include Al DiMeola at the Mt. Fuji Jazz Festival in 1993, Larry Coryell on recording sessions and tours, Babik Reinhardt, son of Django Reinhardt at the Django Festival in 1997, Toninho Horta, Ralph Towner, Roland Dyens, and Martin Taylor.